John is an Associate Professor in the Department of Food Science at Penn State, where he is also a member of the graduate programs in Neuroscience and Nutritional Sciences. As Director of the Penn State Sensory Evaluation Center, he runs a multi-faceted research program that applies sensory science to a diverse range of problems, including work on chemosensation, genetics and food choice, as well as the optimization of oral and non-oral drug delivery systems. 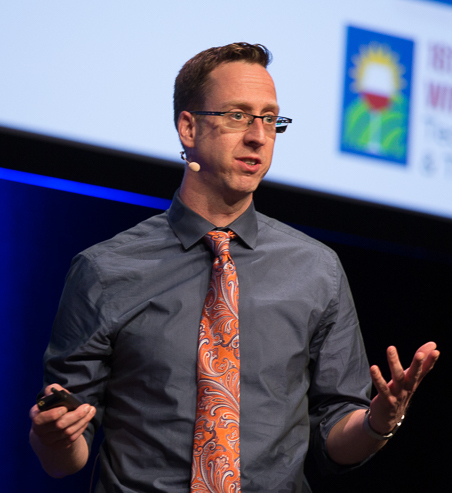 Prior to coming to Penn State, he earned a BS and MS in Food Science from Cornell University and a PhD in Nutritional Sciences from the University of Connecticut before completing an NIH T32 fellowship in behavioral genetics and alcohol addiction at the Brown University Center for Alcohol and Addiction Studies. Dr. Hayes has received multiple international awards, including the Ajinomoto Award for an outstanding junior scientist in the field of gustation, and the Barry Jacobs Award for research in human psychophysics, both from the Association for Chemoreception Sciences (AChemS), the Elsevier Food Quality and Preference Researcher of the Future Award, and the Rose Marie Pangborn Sensory Science Scholarship. He has authored over 90 peer-reviewed articles, and serves as a Section Editor for Physiology & Behavior. He has been an invited plenary or keynote speaker for events in North America, South America, Europe, Asia and Australia, and his work is regularly featured in the media, by outlets including NPR All Things Considered and Morning Edition, The Wall Street Journal, The Guardian (UK), The Times (London), The Atlantic, Slate, The Huffington Post, CNN, Vice, Popular Science, Wine Enthusiast, Cook’s Science, and Vogue.